The Ironmaster weight bench Super Bench is among the most popular training benches in the US. In the meantime, the multi-functional weight bench is also very popular over here. Many additional moduls can be integrated in order to do different exercises (biceps/leg curls, dips, back extension, and so on). 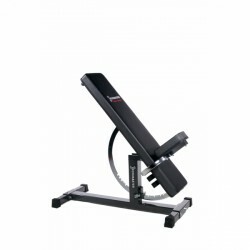 In our bestseller list, it is continuously among the Top 3 weight benches. 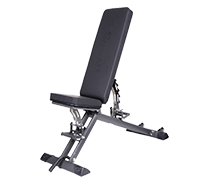 The Ironmaster Superbench is one of the most versatile weight benches available. The very sturdy and 11 times adjustable weight bench of precious design can be modified by means of some accessories to become a compact gym. My colleagues can't no longer hear me saying that my Superbench is my favorite item. The extensibility is simply a smart idea.